SELF SERVICE Self-Service wash areas available. Call for more info! GROOMING Baths, Haircuts, Nail Trimming, and more! HOURS AND MAP Find us quickly - located just down from the Lowes Foods. Thanks to the support of our community and word of mouth from our customers, our business and client list has grown rapidly over the past several years. As such, we are at this time unable to accept new customers to continue to maintain services for our current client base. We'll be evaluating this periodically and will provide updates on our website and our Facebook page. 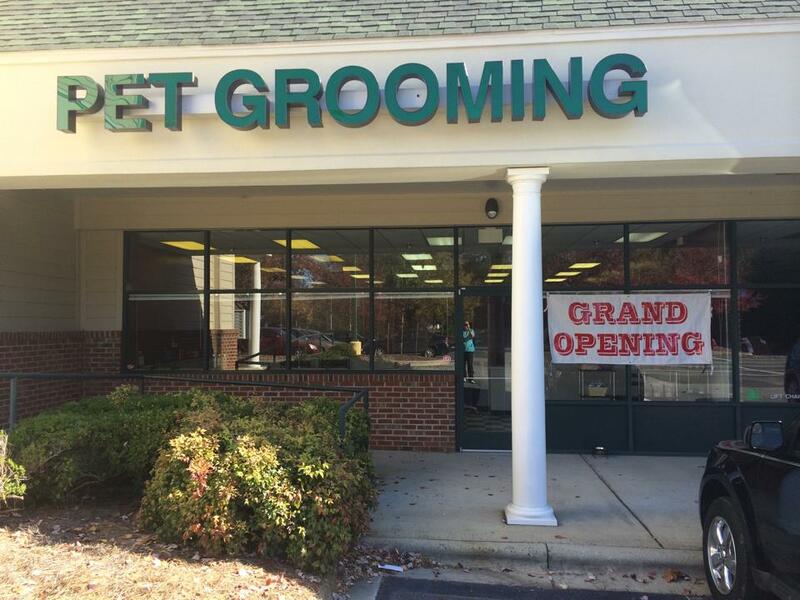 Pet Grooming In Chapel Hill! We are dedicated to providing outstanding service and competitive prices to our 2- and 4-legged customers. Conveniently located in southern Chapel Hill / northern Pittsboro near the Lowes Foods, we are proud of our new space and equipment -- and especially of our loyal customer base!